I like all the seasons, but autumn has to be my favourite. I particularly love the rich warm colours, especially on sunny days when the sun makes the autumn foliage glow. It’s also a time when many trees and plants are fruiting and this provides valuable food for the birds right through autumn and often well into the winter months too. 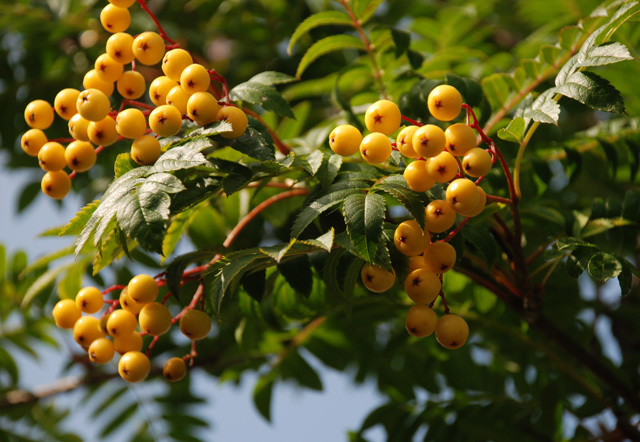 Sorbus (Rowan) are great trees for small gardens and they produce an abundance of berries in autumn which last long after the leaves have fallen. Berry colours range from pale pink to orange/red and often the foliage turns a rich fiery colour in autumn too. 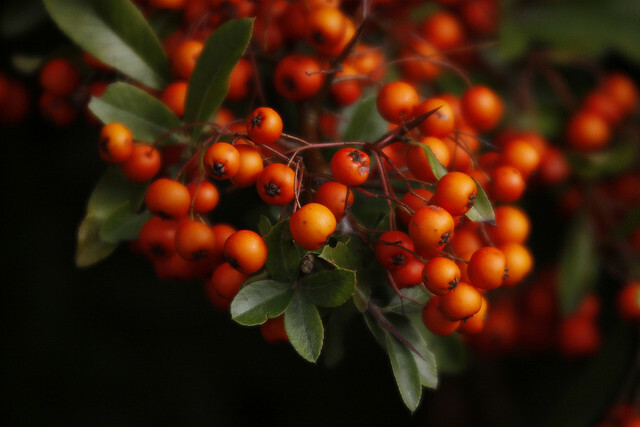 Pyracantha is a rather savage plant with long sharp thorns that cause havoc when you’re trying to prune it, but it looks fabulous trained against the wall of a house. In autumn it produces hundreds of rich orange berries which last well into the winter months. 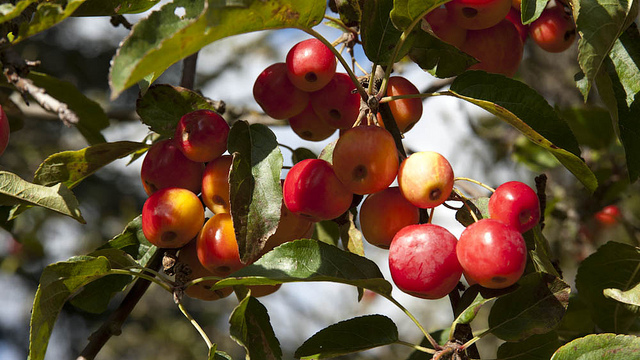 Malus (crab apple) are fabulous ornamental trees which have a great show of blossom in spring and often turn a rich colour in autumn. Small cherry-like fruits are borne in autumn which not only provide a valuable source of food to wildlife, but also bring another dimension the autumn scene. Hawthorne can be seen growing wild in our hedgerows and it’s also used in native hedging mixes. It flowers early in spring and then puts on a fabulous display with berries in autumn. Like Pyracantha it’s a thorny beast, but you’d be hard pushed to find a better plant to support the wildlife. Cornus florida (flowering dogwood) is a large deciduous shrub or small tree which puts on a fabulous display of flowers and bracts in spring. The berries appear before the leaves fall but they too last well into winter. 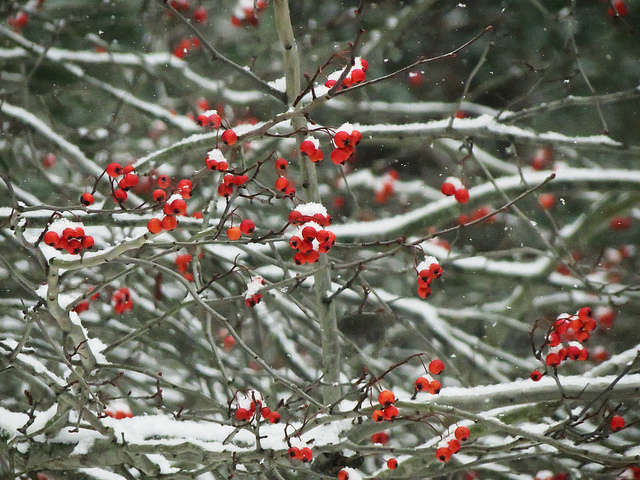 My final pick is Ilex verticillata (winterberry), a deciduous holly native to Northern America. 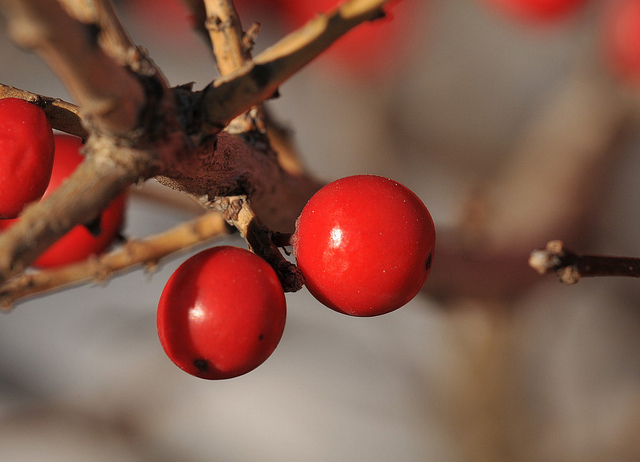 It’s now used as an ornamental shrub in gardens because of the vibrant berries it produces in autumn an winter. 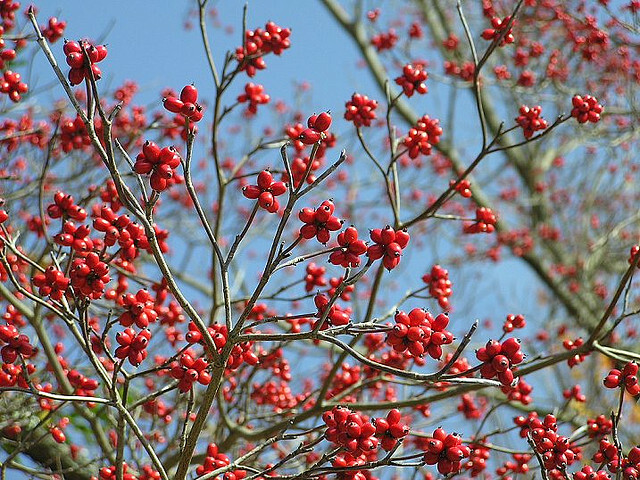 I’ve shared just a small selection of trees and shrubs with berries but I hope I’ve inspired you to plant something that will not only brighten up your garden at this time of year but also help the birds survive through the colder months.